Trailer Parts Blog and Trailer Parts Technical Articles. Here you will find new product release info, trailer parts schematic from top manufacturers such as Atwood, Titan and UFP, and more. You will also find step by step instructions and definitions to common trailer parts installation applications and more. Our Trailer Parts Blog and Trailer Part Information Portal is not like any other. We will give you trailer parts install how-to's, hard-to-find trailer parts schematic pdf files, installation manuals, and other needed materials to make the installation of your trailer parts a breeze. Trailer Parts Installation Guides, for top Trailer Parts Manufacturers such as Titan, Kodiak, Atwood, and many other top Trailer Parts Brands. How-To Articles, New Product Rollouts, New Trailer Announcements and more. Subscribe to keep up with new posts. Are Scratch and Dent Trailer Parts a Good Deal? 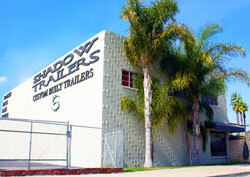 Shadow Trailers; over 20 years providing customers with the top quality trailer parts at highly competitive prices. What are ST Trailer Tires ? Gobble up the savings! Save 5% off your order this week only! How Old is my ST Trailer Tire? Trailer Disc Brakes Vs Trailer Drum Brakes - Which Is Right For My Application? New PHAT STAR Trailer Wheel PHAT is where it's AT! Bias Ply vs. Radial ST Trailer Tires - Which is right for my application? ST Tires...What are they, and are they right for me? If you’re a boat owner, you probably take good care of it. However, you may not give your trailer as much thought. Here are some tips for keeping your trailer as well as your boat in tip-top shape. One essential element of trailer maintenance is to occasionally inspect the grease fittings on the hubs. Hubs and lights are submerged in water twice each time you go boating, after all. To check the grease fittings, remove the rubber cap if there is one, and try to rock the fitting back and forth. If it moves, you probably need more grease, which can be quickly and inexpensively added at any garage. It’s also smart, when hauling your boat, to stop periodically and give the wheel hubs a quick pat—but be careful, they may be hot. If they’re too hot to touch, you definitely need grease, and possibly a replacement. Protecting the environment while enjoying time on the water is a responsibility all boaters share. Follow these tips and suggestions to help keep the rivers, streams, lakes and oceans clean. You know the routine when it comes to tires on your car or truck. Check the air pressure. Rotate them. Test for proper alignment. Monitor the tread. These are all routine tasks that can ensure your tires are performing at the best of their abilities, as well as a means of catching small problems before they become big ones. But there's another type of tire that we're all familiar with -the trailer tire. And just because they're trailer tires doesn't mean that they too don't need proper TLC. A cycling break can be a great way to enjoy the great countryside and also get some exercise, and you can go for just a couple of days or even a week if you would like to. Many people decide to take cycling breaks all over the US, but if you would like to make your journey that bit easier you might want to get yourself a bike rack for your car, truck, or trailer. Car ownership and maintenance requires focus not just on performance and aesthetics, but also a strong focus on safety. The road conditions can be tricky for different types of drivers, thus putting at risk the safety and health of the driver and passengers. Add the condition and age of certain car parts into the mix, and you can discover the perfect recipe that can compromise driver’s safety on and off the road. During winters, it is necessary to store your golf cart indoors to protect it from harsh weather conditions. With a few simple maintenance tips, you can ensure that your cart remains in good working order whenever you need it. Purchasing an adjustable, rather than a fixed, trailer hitch means that you can haul many types and sizes of trailers behind your car or truck. However, an adjustable hitch contains more moving parts, which means that it has more pieces that might break or need replacing. For many people, the spring season means it’s time to dig their golfing equipment out of the shed and start enjoying their favorite pastime. Although your clubs and golf balls may only need a bit of cleaning, your golf cart may need a bit more maintenance before its safe to hit the road. If you have never had an ATV trailer before, you’re in for a great time! Trailers are the perfect way to transport your new all terrain vehicle back and forth to your favorite driving location. But trailers require some preparation and maintenance to be safe and to work efficiently, so keep these tips in mind when you’re getting your new trailer ready. This time of year many boating enthusiasts are putting aside winter blues to spend more time on the water. But in order to get the most out of your boating experience, you need to make sure that your trailer is ready to carry your boat safely and efficiently. Here are a few things to remember before every trailer trip. When it comes to choosing the right tires for boat trailers, the last thing you want to experience is realizing that you’ve made a poor choice once you've skittered on a gravel road or spinned on a rather slippery surface. Trailer wheels require special attention, as they carry diverse and heavy loads with intermittent periods of use and idleness. When the time comes to completely replace your trailer's wheels, the installation process is relatively easy and little different from changing a regular vehicle's wheels. However, a few simple tips make the selection and installation of new trailer wheels an easier process. Your trailer's ability to perform its function relies entirely on the health of its tires. Poor tire condition impedes your trailer's ability to haul things, and it also creates a dangerous situation. To prevent dangerous situations and improve the performance of your trailer, it is critical that you perform regular tire maintenance. Properly taken care of, your trailer ought to last you for years, if not decades. However, this proper care requires regular and appropriate maintenance, particularly during certain times of the year when your trailer is at more risk. To prolong the life of your trailer, follow a few maintenance tips as the winter months approach. If you have a boat and a trailer to take it out to the lake on a warm summer’s day, you’re probably more excited about using the boat than the trailer when you’re making your plans. However, if something goes wrong with your trailer and, specifically, its tires, you will suddenly be more concerned about your trailer than your boat. Here are a few ways to keep your boat trailer’s tires in prime condition so you can stay focused on your boat. Choosing the best ball mount, or trailer hitch, for your trailer is critical. Different mounts are used in different types of vehicles. The tow pin and jaw mount is more suited to very large vehicles while the pintle mount is used almost exclusively in the military. The ball mount is the preferred tow hitch of trailers because it allows for movement and swivel. When shopping for a trailer hitch, there are several things to consider before making your purchase. The first, and most important, things to consider are the total towing capacity of your vehicle and the total weight of the trailer you intend to haul. When looking at different hitches, it is a good idea to choose one that can accommodate more than your current tow load. This allows some room for growth in case you decide to upgrade your boat or purchase another motorcycle. There a few main hitch styles to choose from depending on your needs. The following are just a few of the most popular, all of which are carried by Shadow Trailers at www.trailerandtruckparts.com. When it comes time to relax on the water for a beautiful afternoon, your boat can be the main source of all the enjoyment. Having the right accessories can make the experience even better! Boat accessories are much needed, but often forgotten. When you finally take the opportunity to shop for your watercraft, you may notice that there are a ton of options for you to choose from. Everyone likes saving a bit of money, and trailer owners are no different. Trailers can be expensive pieces of equipment to own, but you certainly do not want to cut corners on safety or function. Buying used trailer parts is a good way to get the items you need and still save money. Keep these tips in mind when shopping for a used trailer or used trailer parts. Enthusiasts of outdoor sports enjoy the freedom of taking on nature on the backs of personal watercraft, boat, bicycle or motorcycle. The experience is equal parts thrilling and calming. Reaching some of these “off the grid” outdoor spaces may present the challenge of hauling your gear with you. With the right trailer or attachment setup, you and your gear can get anywhere that you want to go. Even the smallest trailer requires a few key parts in order to function correctly. New trailer owners are sometimes under the impression that they should stay away from scratch and dent parts and use only new parts on trailers. What exactly is meant by the term scratch and dent? Does the special price quoted on a scratch and dent item really make up for the apparent surface damage? Shadow Trailers has over twenty years of experience in providing customers with the top quality trailer parts at highly competitive prices. Following are some tips that can make your trailer part shopping easier, faster and better. Installing a trailer hitch after you finally decide on one can be a difficult and confusing process if you don't understand what you're doing. The truth of the matter is that many people can install the hitch on their own without having to hire a professional, but it takes a little bit of know-how. Pulling a trailer behind your car requires a little knowledge. You have to know what kind of material was used to construct your trailer. The difference is massive, but many people prefer one or the other, fiberglass or aluminum, just based off of a number of factors that matter in different ways to depending on the use and the person. Whether you are transporting a boat, motorcycle, or mobile home, checking all of the parts that are most important will help you extend the life of your trailer and make sure that you never get stranded or end up with damaged goods. Below, you’ll find a number of the things that are the most important to keep tabs on regularly. As you know, owning a gooseneck trailer is a little more complicated than simply using the ball and hitch method. However, depending on what you haul on a regular basis, the gooseneck method may be a better choice for your needs. It provides more durability, stronger hauling, and a tighter control of your load. Dealers design their trucks to have powerful performance under the hood, and great body design that is appealing to truck owners. What they don't offer are all the cool accessories available to make it look as powerful as it performs. Trucks are no longer meant for strictly utilitarian purposes. Why not roll in style? Trailer and Truck Parts has parts and accessories to create an upgraded look on any truck. The adjustable Ball mount hitch is the perfect solution for many towing purposes. We all have different vehicles such as a truck or passenger vehicle as it is just the same with the trailer you tow behind you. Travel trailers, Boat trailers, Utility trailers, Toy haulers, all vary in height. Some of us own multiple trailers, so picking the right adjustable hitch is key to your safe towing experience. Be it vacation, or just a quick outing, nothing provides more frustration and aggravation than the lack of cargo room. Once the ATV is loaded into the back of the truck, as well as the coolers, folding chairs, and other necessities, space can quickly become limited. This is where the Rola Hitch Mounted Cargo Carrier comes in handy. No longer do items need to be dangerously double stacked and possible damaged,and the family vacation start off on the wrong foot. Maintaining your boat trailer is essential for maximizing it's life to the fullest extent possible. There are several steps you can take to maintain it properly. There are also a couple of products which may help you clean it, and fix it, in order to keep it from rusting, or leaving nasty marks on the sides of your boat. Trailer tires should be replaced as soon as they begin to show wear and tear or about every four years, whichever comes first. If the tires on your boat trailer have a series of small cracks around the circumference of the tires, it may be due to dry rot, which can cause the tire to blow unexpectedly, resulting in being stuck on the side of the road as well as expensive repairs and towing fees. We are now offering a new product line at TrailerAndTruckParts.com: Curt Mfg Towing Products. We are offering the full line of Trailer Hitch Ball Mounts, Receiver Hitches, Hitch Covers, Weight Distributing Hitches and much more now in stock! Use our Trailer Rim and Tire Compatibility Guide, to find the correct tire to fit your trailer rim. Each trailer rim is listed, followed by the coordinating trailer tire. Our Trailer Wheels and Trailer Tires have been rigorously tested, to ensure that they exceed Department of Transportation standards. Should you require further assistance, please contact our tech help department toll free at (800) 281-0769 International Callers please dial +001 (714) 995-4353. Light Truck and Truck/Bus Tires — Selection of size and load range on each axle shall be based upon the highest individual wheel load. Maximum load per tire shall not be greater than the applicable load specified herein for the proper load range and usage. tire must not exceed the maximum load stamped on the tire sidewall divided by 1.10. Gobble up the savings! Save 5% off your trailer parts order this week only! Everyone has a different preference when it comes to ATV tires. However, the majority of riders usually find themselves in one of two categories: riders who focus on tread and riders who focus on air capacity. No matter what you prefer, an upgrade is usually necessary to keep your tires in the best shape possible. Age affects safety and reliability of all tires. ST trailer tires can be particularly badly affected. Slow turnover of inventory often leaves these tires on the shelf for far longer than is normally considered desirable. This means that just looking at the tread and wear on the tire might not help you determine how old it actually is. Proper wheel selection is a very important component of your trailer gear system. When replacing your trailer tires/rims it is critical that the proper size and load range be selected in order to match the load requirements of the trailer. The following characteristics are extremely important and should be thoroughly checked when replacing trailer tires. 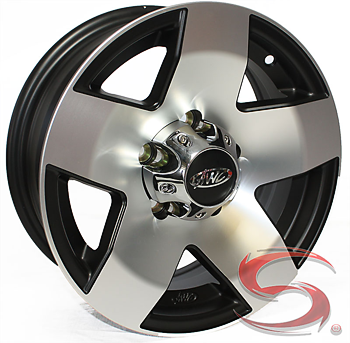 Whether you are hitting the river or cruising in the ocean, you will arrive there in style with this sleek trailer wheel mounted on your trailer. One of the biggest changes happened in the 70’s when disc brakes came out, virtually replacing drum brakes. Technology has proven that all brakes work on a heat and friction ratio to bring vehicles and trailers to a stop. Disc brakes are considered far superior to drum brakes for trailers on every level. Measuring a ST trailer tire can seem complicated, but it isn't. You have three measurements to follow...first determine the appropriate sized trailer tire and the width of the tire, measure the diameter of the rim, and height of the tire measure from the top of the tire. Two of the more popular trailer tire styles are Bias-Ply and Radial. There are two main differences between the types of tires: how they are constructed and materials used. There are benefits to each, so it is important to consider your needs when choosing the perfect ties. We get this question daily, and the answer is pretty simple. We'll briefly explain it below along with a downloadable template to help. Match your trailer wheel to the hub by number of bolts and bolt circle. ST or (special trailer) tires are specialty tires that are designed especially for trailers. They are constructed to provide safer driving experiences at high speeds. Like any other vehicle that travels at high speeds trailers tires are subject to blow outs and low inflation. LED lighting is now becoming the standard lighting used for trailers. There are a number of things that set LED lights apart from their incandescent counterparts. LED lights, unlike incandescent ones, do not have an interior filament. This means that they will last longer than incandescent lights. LED lights also have a greater ability to withstand shocks and bumps than incandescent bulbs.